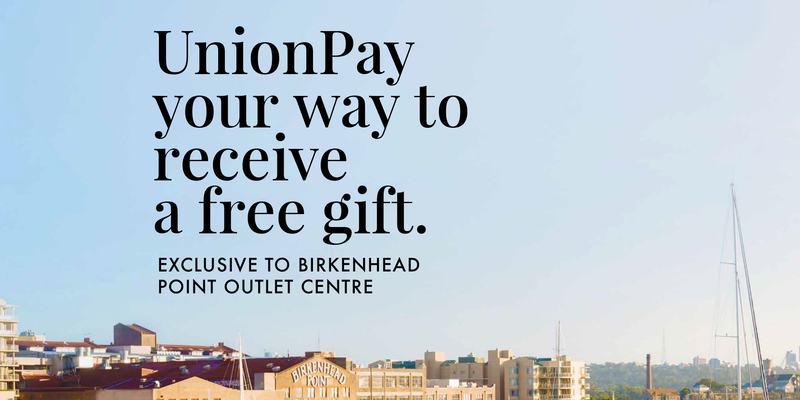 We have teamed up with UnionPay to offer our customers a free gift with purchase when they visit and shop with us at Birkenhead Point. Simply spend $300 or more with UnionPay and receive a free The Daily Edited (TDE) passport holder valued at $69.95. The passport holder comes in a black or blush! Made the $300 spend? Next step is to present your receipts on the day of purchase to our Customer Service team on Level 2 to redeem your free gift. Exclusive to Birkenhead Point Brand Outlet!